If you've driven by the former Elizabethtown Hotel, you've seen the signs and the renovations that are happening. To say this is good news for the downtown business district is a huge understatement. They are making renovations to the first floor of a building that has been vacant for years, one that we on Borough Council have discussed many times. And in talking to Norman, one can't avoid is infectious enthusiasm for downtown Elizabethtown and the people here that he sees coming out for events such as Second Fridays. "There's a really good crowd here in E-town," he said over lunch this week at Pita Pit. 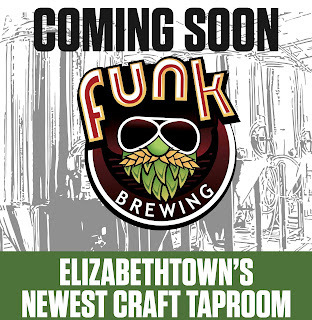 Norman and his partner, Kyle Funk, are brothers-in-law and brewed their first batch of Funk Beer for commercial production in January 2014 in Emmaus. They both attended an immersion course offered by Colorado Boy Brewing in Ridgway, Colo., to learn "to do what they do." 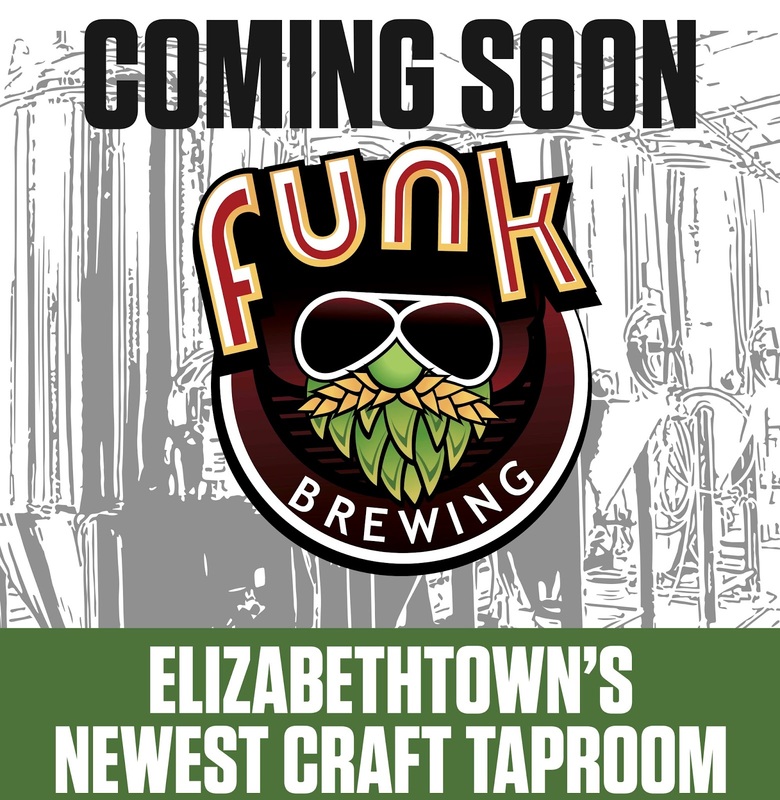 Since opening their taproom in the Lehigh Valley, Funk Brewing has grown to brewing 150 to 200 kegs per month that are distributed throughout the region. You can fnd Funk brews on tap in Lancaster and Harrisburg, and Norman said much of their beer is distributed in Philadelphia. So why open here in Elizabethtown? Norman said it's for selfish reasons, in part. He has a full-time day job to support his family, in addition to running the business side of Funk. As a resident of the borough, he sees a huge opportunity because places like Lucky Ducks Bar and Grille and T.J. Rockwell's often get crowded. It's not unusal to wait for an hour and a half for a table at Rockwell's. "There's definitely room for someone else," Norman said. He also said that locals enjoy craft beer. The Black Gryphon and Lucky Ducks have great selections of craft beers, not to mention that Moo Duck Brewery opened in March last year, and Cox Brewing Co. is supplying beer to area taverns. In my estimation, the economic impact on downtown Elizabethtown can be significant. Craft beer lovers frequently make a trip to visit different breweries and brewpubs. When they come, they spend money. The Craft Beer Association says the economic impact of craft beer brewing in Pennsylvania is nearly $4.5 million, which is second in the nation. The state ranks first in craft beer production with more than 4 million barrels annually. "We want to have great beers and make it a great experience for people coming in," Norman said. If you want a preview, Norman said Funk Brewing will be featured at a Meet the Brewer event at the Black Gryphon on Oct. 22. I am happy to see another business opening in Elizabethtown. As a long time resident, 30+ years, it was always puzzling that E-town did not have a more vibrant downtown. With the Masonic homes and Elizabethtown College, there is plenty of "cash" to support the downtown area. Not to mention that we are central to the Mt. Joy, Middletown, Hummelstown, and Hershey area. With all it has going for it, E-town downtown should be thriving, but it is not. It is difficult to pinpoint a reason, but the downtown area does not look inviting as the buildings are run down and unless you want a haircut or to buy insurance there is not much to bring foot traffic, this is a positive start.